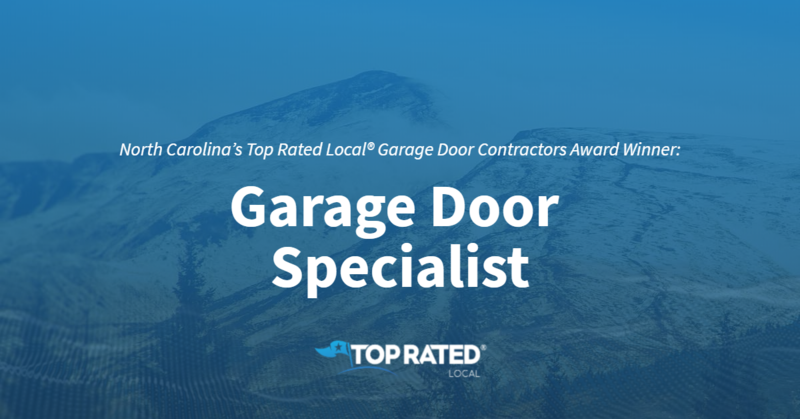 Top Rated Local® is pleased to announce that Garage Door Specialist is a 2019 award winner for garage door contractors in North Carolina! Whether you need a new garage door or your existing garage door requires maintenance or repairs, there’s no better company to turn to in Raleigh than Garage Door Specialist. Garage Door Specialist has received hundreds of reviews on four verified sites with an average rating of 4.85 stars, earning them a stupendous Rating Score™ of 96.48 and a 2019 Top Rated Local award for ranking among the top 10 garage door contractors in all of North Carolina! “I’m a real estate agent, so it’s important to me that the vendors I recommend do a GREAT job and go above and beyond for my clients, because it’s my reputation on the line. I discovered Garage Door Specialist about a year ago and have been referring them ever since because simply put — they make me look like a hero. They are always on time and get the repair done at a reasonable cost.” – Christy M.
Stephanie and Jimmy Davis, co-founders of Garage Door Specialist, generously gave us a few minutes of their time to tell us about their award-winning business and its outstanding online reputation. The first question we had for Stephanie and Jimmy was what sets Garage Door Specialist apart from their competition in Raleigh. They told us that Stephanie, Jimmy, her husband and co-owner, her sister, Michelle Sims, and her brother, Jeff Sims are all locals, and that Garage Door Specialist is truly a family-owned and -operated business that has a vested interest in the community. Stephanie and Jimmy attribute Garage Door Specialist‘s strong online reputation to their team’s commitment to customer service and customer satisfaction. Stephanie shared that they rarely ask for reviews. Their focus is on doing good work and sharing information with their customers to make them happy at the end of the process. Outside of building a powerful online reputation, Garage Door Specialists spreads the word about who they are and what they do by keeping Facebook current with blogs and industry updates. Congratulations to the team at Garage Door Specialist for being a 2019 Top Rated Local award winner, and thank you so much, Stephanie and Jimmy, for taking the time to speak with us! We highly recommend Garage Door Specialist in Raleigh. Visit their website today! 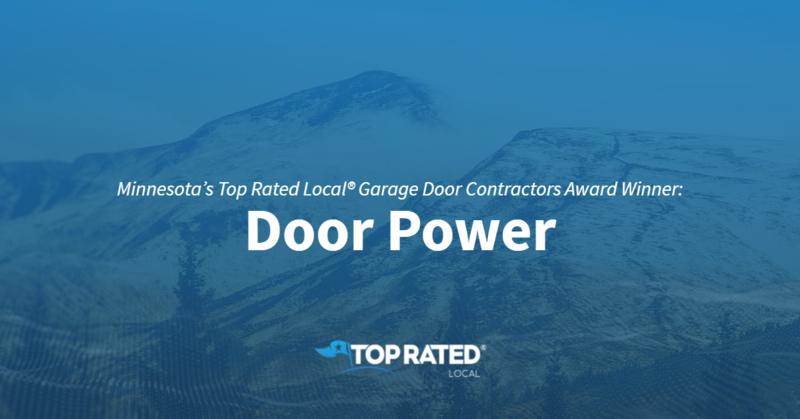 Top Rated Local® is pleased to announce that Pro Garage Doors is a 2019 award winner for garage door contractors in South Dakota! If you’re in the market for a new residential or commercial garage door, or you need garage door repair or preventative maintenance, Pro Garage Doors is the company to call for all of your needs in Sioux Falls. Pro Garage Doors has received dozens of reviews on multiple verified sites with an average rating of 4.83 stars, earning them a remarkable Rating Score™ of 92.30 and a 2019 Top Rated Local award for ranking among the top 10 garage door contractors in all of South Dakota! “On the coldest day of the year, my garage spring broke, and my car was locked in the garage. How would I get my kids to school? I called Pro Garage, and they scheduled an appointment immediately. The Pro Garage guy showed up and fixed my spring in record time. The cost of the repair was incredibly reasonable, and it has worked flawlessly ever since! Highly, highly recommended!” – Kristin B.
Dustin Ahrendt, who has been the owner of Pro Garage Doors for more than five years, generously gave us a few minutes of his time to tell us about his award-winning business and its wonderful online reputation. The first thing we wanted to know was what sets Pro Garage Doors apart from their competition in South Dakota. 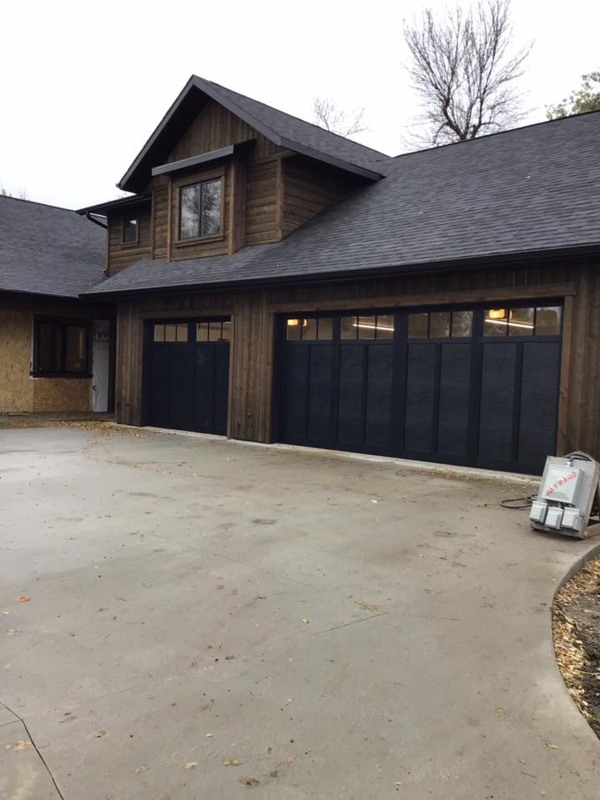 Dustin told us that Pro Garage Doors has been serving Sioux Falls for 10 to 15 years and that what sets them apart is a mixture of the quality products they offer and the next-level service they provide each and every day. Dustin attributes Pro Garage Doors’ strong online reputation to their commitment to providing good customer service day in and day out. Outside of building a powerful online reputation, Pro Garage Doors has gotten their name out there by participating in an annual home show. Congratulations to the team at Pro Garage Doors for being a 2019 Top Rated Local award winner, and thank you so much, Dustin, for taking the time to speak with us! We highly recommend Pro Garage Doors in Sioux Falls. Visit their website today! Kansas’ Top Rated Local® Garage Door Contractors Award Winner: Accelerated Garage Door Service, Inc.
Top Rated Local® is pleased to announce that Accelerated Garage Door Service, Inc. is a 2019 award winner for garage door contractors in Kansas! For all of your garage door service needs in Overland Park, there’s no better option than Accelerated Garage Door Service, Inc. Accelerated Garage Door Service has received dozens of reviews on three verified sites with an average rating of 4.86 stars, earning them a spectacular Rating Score™ of 94.64 and a 2019 Top Rated Local award for ranking among the top 10 garage door contractors in all of Kansas! “[Our] garage door opener quit working in the morning, and we were unable to close the door. The company came out a couple of hours later and repaired the garage door opener, as well as the keypad leading to the garage. [The] work was done well and in a short time. We would definitely use them again.” – Kim M.
We wanted to learn a little more about this one-of-a-kind company and its stellar online reputation, so we took a few minutes to talk with Dan Herriman, the owner of Accelerated Garage Door Service. Dan attributes Accelerated Garage Door Service’s strong online reputation to their commitment to taking care of their customers each and every day. Outside of building a powerful online reputation, the vast majority of growth at Accelerated Garage Door Service has come from referrals, which is the result of that same commitment to taking great care of their customers. 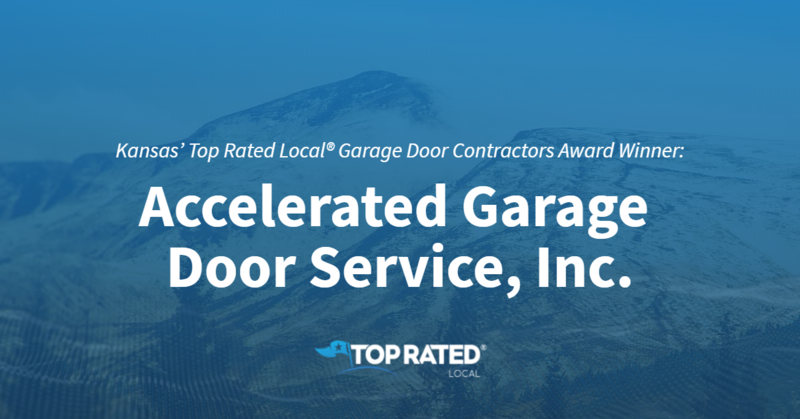 Congratulations to the team at Accelerated Garage Door Service, Inc. for being a 2019 Top Rated Local award winner, and thank you so much, Dan, for taking the time to speak with us! We highly recommend Accelerated Garage Door Service, Inc. in Overland Park. Visit them on Facebook today. 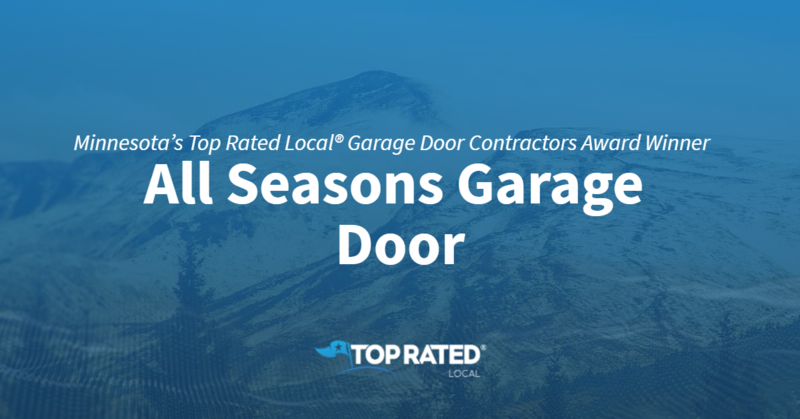 Top Rated Local® is pleased to announce that All Seasons Garage Door is an award winner for garage door contractors in 2019. Winter, Spring, Summer, or Fall, if your garage door is broken give All Seasons Garage Door a call! All Seasons Garage Door has received many overwhelmingly positive reviews across four different verified sites with an average rating of 4.97 stars, earning them an impressive Rating Score™ of 98.65 and a 2019 Top Rated Local award for ranking as one of the top three garage door contractors in all of Minnesota! “Thanks for a reasonably priced quick-fix. I hated my garage door so much because it never closed correctly. It was such an eyesore! I thought it would be a huge, costly, fix. Not so! The reason for it not sealing tightly was explained, fixed, and I was told how to maintain it going forward. [I am] super happy. [They offer] great service!” – Cori S.
It is because of excellent reviews like this that All Seasons Garage Door is now able to call themselves a Top Rated Local award winner! We were excited to learn all about how All Seasons Garage Door has been able to build such an impressive reputation, so we sat down with the owner, Kaarin Birch. The first thing we wanted to know was what it is that makes All Seasons Garage Door stand apart from their local competitors. She let us know that their business has been in operation since the early 80s and is family-owned and -operated. They believe in serving their community with honesty and integrity. “I chose this company to fix my garage door opener based on Google reviews. Wow! What an awesome experience! The technician arrived right before I had to leave for work, gave me an estimate, and completed the installation of my new garage door opener after I had to leave for work. They even billed me for the service since I couldn’t be there to pay upon completion of the repair!” – Shari R.
Congratulations to All Seasons Garage Door for being a 2019 Top Rated Local award winner, and special thanks to Kaarin for taking the time to speak with us! Top Rated Local® is pleased to announce that The Door Guys is the number one garage door contractor in the entire state of North Dakota! “The Door Guys came out and not only replaced a broken and worn spring, but also made adjustments on different parts of the door system to make our garage door run smoothly. [It] closed for the first time ever! They also hauled off some old rails and a drive with springs for us. The gentleman who did all of this was respectful and efficient in doing the work. I’ve had plenty of bad experiences with contractors and workers at our home, but this was the best service I’ve ever experienced!! Thank you so much for brightening our life!! You came highly recommended and now I see why. I most definitely highly recommend this company to anyone needing their services!” -David J. We got a chance to speak with Gene Merck, the owner of The Door Guys, to chat about his business’ tremendous online reputation. Of course, we were also particularly interested in finding out why Gene and his team do what they do. “Customer service is our number one goal,” he told us. 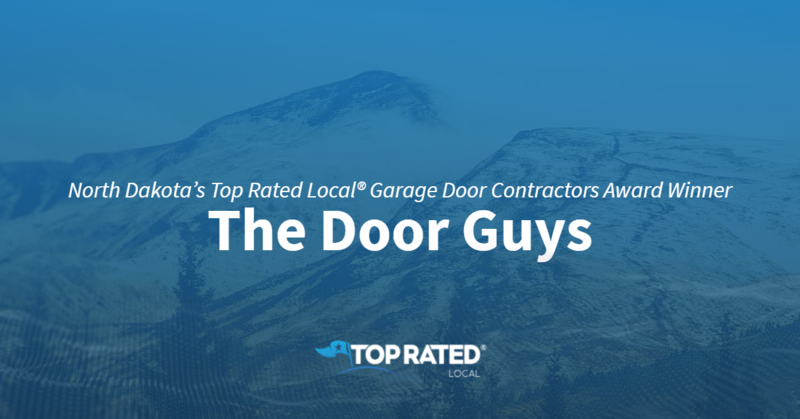 Congratulations to the team at The Door Guys for being a 2019 Top Rated Local award winner, and thank you so much, Gene, for taking the time to speak with us! Top Rated Local® is pleased to announce that KSK Garage Doors is a 2019 award winner for garage door contractors in Michigan! From garage door repair to sales and installation, there’s no better garage door contractor to turn to in Highland than KSK Garage Doors. KSK Garage Doors has received hundreds of reviews on three verified sites with an average rating of 5.00 stars, earning them a wonderful Rating Score™ of 97.00 and a 2019 Top Rated Local award for ranking among the top 10 garage door contractors in all of Michigan! “We decided to use KSK because it was a local company and the reviews were good. After meeting Ken, it was clear that we made the right choice. He provided us with multiple options and gave his opinion, and we selected a garage door. We are extremely pleased with how it all turned out! The door looks amazing, and the service provided by KSK is second to none. If you need a garage door replaced, look no further. KSK is the place to go.” – R.M. Ken Kozlowski, owner of KSK Garage Doors, was generous enough to take a few minutes of his time to talk with us about his one-of-a-kind business and its impressive online reputation. Ken credits KSK Garage Doors’ strong online reputation to their commitment to always holding themselves to their standards, and added that, if a client likes them, they’ll leave a review. 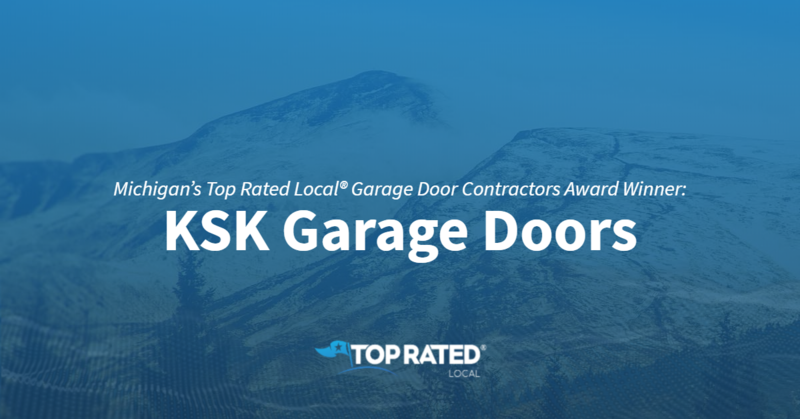 Congratulations to the team at KSK Garage Doors for being a 2019 Top Rated Local award winner, and thank you so much, Ken, for taking the time to speak with us! We highly recommend turning to KSK Garage Doors for all of your garage door service and sales needs in Highland. Visit their website today! 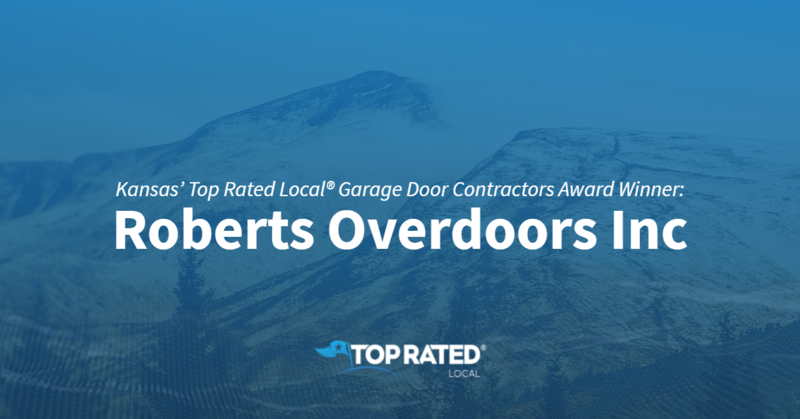 Top Rated Local® is pleased to announce that Roberts Overdoors Inc is a 2019 award winner for garage door contractors in Kansas! With a wide selection of residential and commercial garage doors, Roberts Overdoors Inc is the garage door company to turn to in Derby. Roberts Overdoors has received dozens of reviews on three verified sites with an average rating of 4.63 stars, earning them a phenomenal Rating Score™ of 92.31 and a 2019 Top Rated Local award for ranking among the top 10 garage door contractors in all of Kansas! “As a general contractor, I have used many garage door companies; however, Roberts Overdoors is my number one choice. They always get the job done right, on time and within budget. I highly recommend Roberts for all your residential and commercial overdoor needs!” – Joseph E.
We wanted to learn a little more about Roberts Overdoors and its impressive online reputation, so we took a few minutes to talk with the owner, Chris. Chris credits Robert’s Overdoors’ strong online reputation to the fact that they’ve been in business for more than 60 years, to their belief in God and to their commitment to doing right by people. Outside of building a powerful online reputation, Robert’s Overdoors has grown through word of mouth and by the efforts of the individual that helps them stay up to date on the internet. Congratulations to the team at Roberts Overdoors Inc for being a 2019 Top Rated Local award winner, and thank you so much, Chris, for taking the time to speak with us! 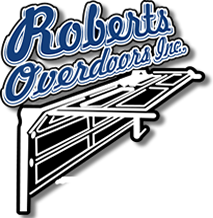 We highly recommend Roberts Overdoors Inc for all of your garage door needs in Derby. Visit their website today! Top Rated Local® is pleased to announce that Fargo Garage Floors and Doors is a 2019 award winner for garage door contractors in North Dakota! If you’re looking to take your garage up a notch, there’s no better company to work with than Fargo Garage Floors and Doors. Fargo Garage Floors and Doors has received dozens of reviews with an average rating of 5.00 stars, earning them a fantastic Rating Score™ of 92.00 and a 2019 Top Rated Local award for ranking among the top 10 garage door contractors in all of North Dakota! “The owner of this company is fantastic! We were in a hurry to get new garage doors installed so we could put the house on the market, and he squeezed us into the schedule and made it happen fast! Great workmanship and great service.” – Nancy R.
We wanted to learn a little more about Fargo Garage Floors and Doors and their impeccable online reputation, so we talked with the owner, Jeremy. When asked about the Fargo Garage Floors and Doors secret to a strong online reputation, Jeremy told us that he invites clients to leave reviews after they offer their services and that they focus on treating people well. Outside of building a powerful online reputation, Fargo Garage Floors and Doors has grown through their website’s organic rankings, Google ads, word of mouth and by partnering with local contractors. 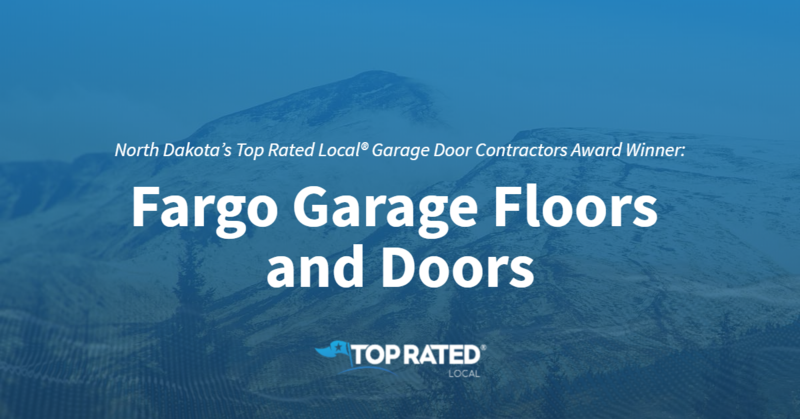 Congratulations to the team at Fargo Garage Floors and Doors for being a 2019 Top Rated Local award winner, and thank you so much, Jeremy, for taking the time to speak with us! If you’re looking to take your garage to the next level, we highly recommend working with the team at Fargo Garage Floors and Doors. Visit their website today! Top Rated Local® is pleased to announce that Goodwin Garage Door is a 2019 award winner! “Great experience with Goodwin. Great communication, prompt arrival, [and they] only did the work we needed without trying to pad things. [They were] professional, fast, and fairly priced. [They] went above and beyond on our repair. The owners, Trevor and Sam, did our work, and they did a great job. [It’s] nice to have someone we can trust close to us in the Western Shawnee area for future work and to refer friends and neighbors to.” – Craig F.
We spoke with Trevor Hunt, the owner of Goodwin Garage Door, about his business’ outstanding reputation online. 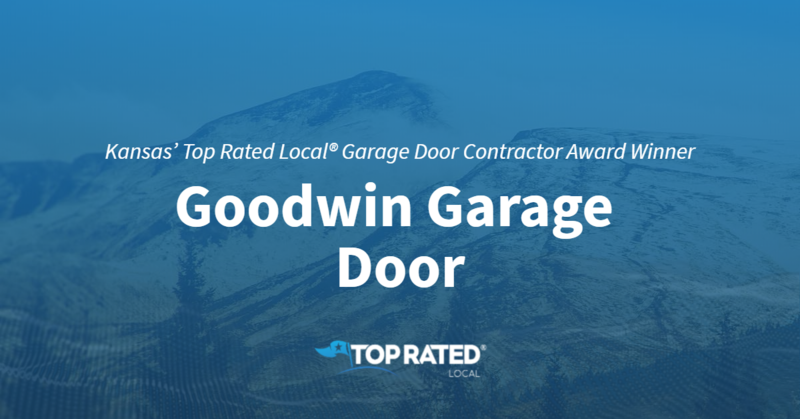 Congratulations to the team at Goodwin Garage Door for being a 2019 Top Rated Local award winner, and thank you so much, Trevor, for taking the time to speak with us!